Elizabeth Kostova, acclaimed American author of The Historian, recently visited Time Out. 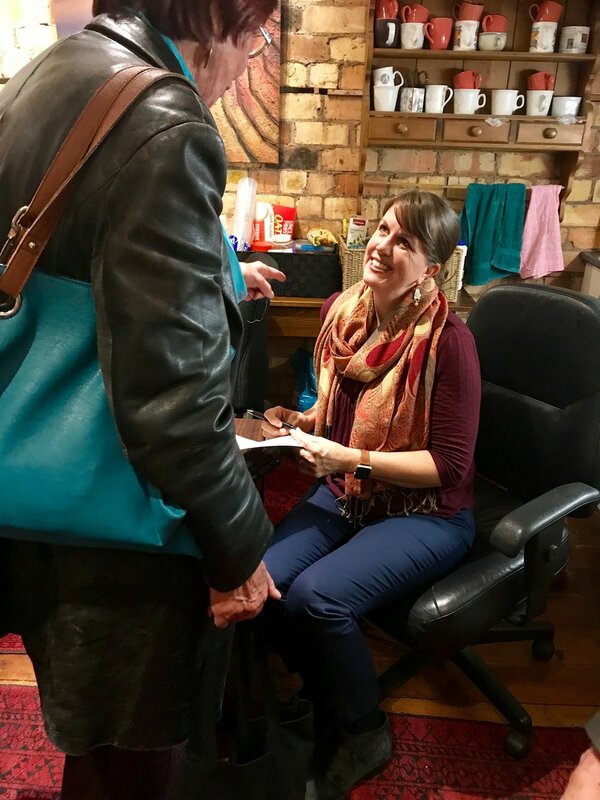 Interviewed by the incredibly passionate Paula Morris, guests were treated to a wonderful inspiring discussion— about her new novel The Shadow Land, Bulgarian history and the art of writing slowly. The Shadow Land follows a young American traveling to post communist Bulgaria in 2008. Shortly after she arrives, she shares a taxi with an elderly couple and finds herself left with one of their bags. Without their contact details, she discovers she has an urn of ashes and proceeds to find them to return. Kostova’s Bulgarian ties go back to 1989, where she arrived (7 days after the fall of the Berlin Wall) as a 24 year old to study the country’s folk singing. She ended up meeting her husband there and now visits yearly. The plot to this novel, came to her in a dream many years ago (unfortunately with no plot summary!) and she spent 8 years crafting the story. The Shadow Land has a parallel narrative set in the 1940’s totalitarian era. Kostova researched this history extensively, including receiving special permission to visit the ruins of a closed communist labour camp - which became a location in her novel. Kostova’s verbal description of the camp was immersive and captivating - she said it was the emptiest place and drained of meaning. Many of the guests at our event were Paula’s masters students at Auckland University’s creative writing programme. Kostova loaded them with advice and anecdotes about her writing process - including her time at the Michigan MFA programme and how she completed a 2 year rewrite of The Shadow Land. This rewrite has lead her to write the book she is most proud of as her characters feel more alive than ever. When she spoke about time, and how our busy lives can lead to a lack of output - she suggested that a lot can be done in 20 minutes (very true!) and that she has worked on her writing like a piece of knitting. Morris said she savoured over passages in The Shadow Land and compared Kostova’s writing to Donna Tartt, describing it as a mysterious, literary novel that has historical truth but is still a great act of imagination. Despite it’s dark centre, it’s a novel of joy, love and beautiful landscape. Kostova feels that it’s a powerful experience to publish a book in USA’s current political climate. She said it was one of the hardest experiences of her life, but it’s the book she’s most proud of. We have signed copies of The Shadow Land in stock now. A big thank you to Text Publishing, Elizabeth Kostova and Paula Morris for making this wonderful event possible. Time Out will be donating a pile of books from this year’s Children’s & Young Adults Book Awards to Otahuhu Intermediate on behalf of Paula Morris for her time in interviewing Elizabeth. 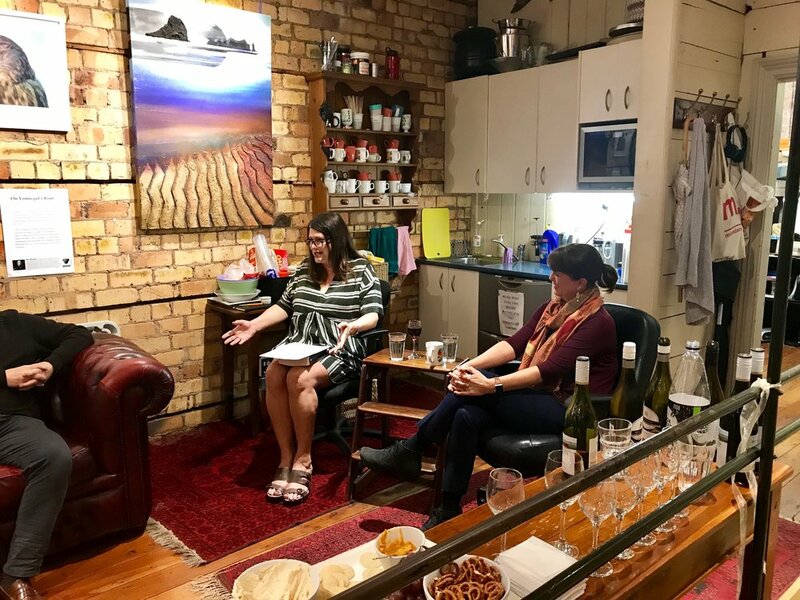 Kia ora Paula! Here’s a great interview from Kiran Dass with Elizabeth. Elizabeth recommends reading Border by Kapka Kassabova. Check out the Elizabeth Kostova Foundation for information on scholarships and writing workshops in Bulgaria.